Taken from plane over Rio de Janeiro, Brazil. One of our readers, Mr. Henrique Costa, has forwarded two images of interest. Henrique did not take the photographs, but a colleague of his forwarded them to him. The man who took the photographs, three in total, was a passenger on a plane. 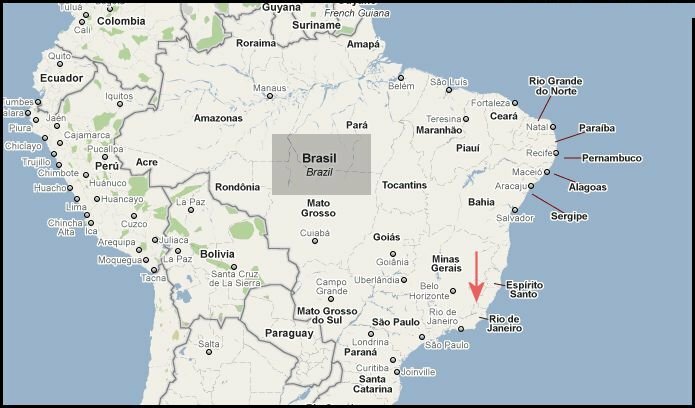 He was taking a vacation trip, and flying near Brazil's capital city of Rio de Janeiro. Not a great deal of information was sent. This is what we know at this time. 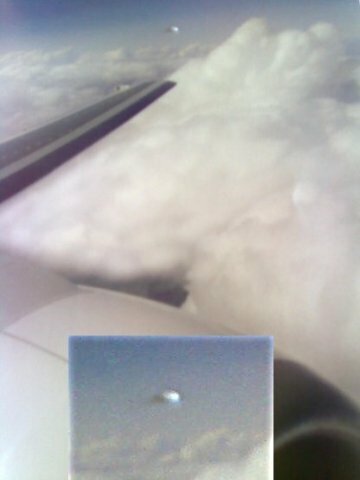 Several passengers saw the object in question, which was first described as a ball of light, shaped similar to a football. Several passengers shouted in fear as they felt the plane was too close to the unknown object, and there was a possibility of a collision. 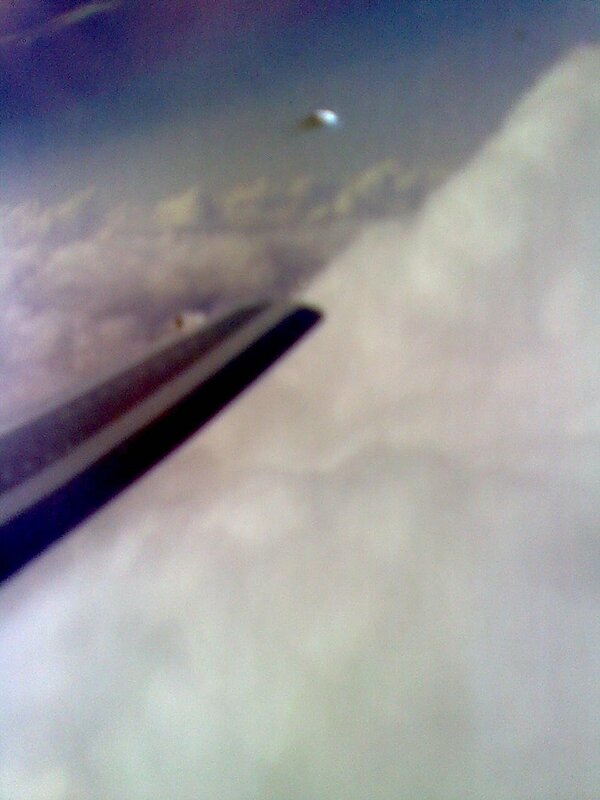 According to passenger statements, the unknown, flying object maneuvered into the clouds, but continued to follow the aircraft for about two minutes. 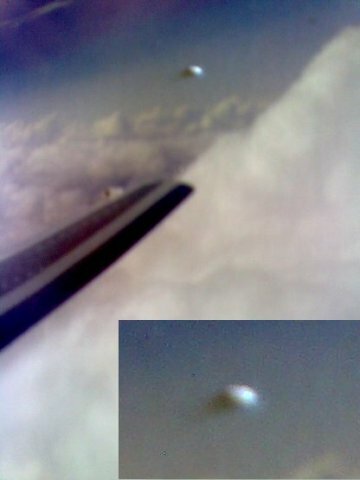 According to the camera information, the photographs were taken at 3:40 PM, July 14, 2010. 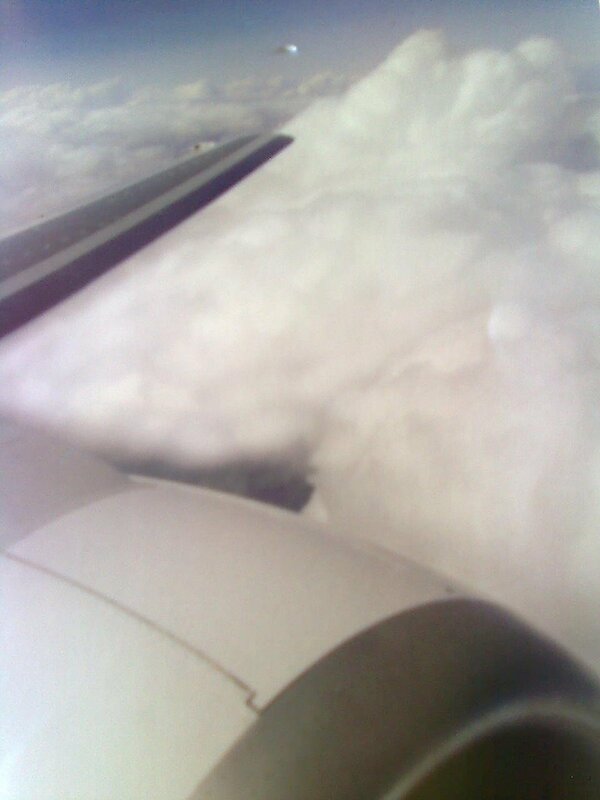 The camera used was a Nokia, 3120 Classic. Information and photographs submitted by Henrique Costa.